The use of food banks in London has increased as food poverty becomes a rapidly growing issue. Local Labour London Assembly Member Joanne McCartney and Londonwide Assembly Member Fiona Twycross visited the Trussel Trust’s North Enfield food back yesterday to look at the work they put into providing emergency food to struggling families. Food poverty has increased in London as the economic downturn has worsened with 1,625 people visiting the North Enfield food bank since May 2012. The number of people relying on a food bank in order to get food for themselves and their families has trebled in just over six months. 100 people visited the food bank in May. This rose to 300 by the end of the year. A significant number of children and working families are affected for a variety of reasons including changes to the benefits system, low incomes, unemployment, sickness and homelessness. Enfield has the ninth highest rate of income deprivation in London with 1 in 4 residents being income deprived. One of Enfield’s wards is ranked the eight highest for child poverty in England. “It is terrible that people in London are having to choose between food and heating their homes. At the food bank in North Enfield 1,625 people received food over six months. What is more worrying is the rapid rate at which food bank usage is increasing in Enfield, and the problem appears to be worsening. “Here in Enfield we have the ninth highest rate of income deprivation in London and the eighth highest child poverty rate in England. This is only going to get worse as the effects of the Mayor of London and the Coalition Government’s policies begin to hit more families. “Food poverty in modern Britain and in London is a scandal. What kind of society have we become if people have to turn to charity just to get enough food to survive? It appears that many people who are turning to food banks are working but still can’t afford to buy enough food for their families. “There are also serious health implications arising from food poverty as not eating a healthy diet can contribute to diabetes, heart disease and rickets. Fiona Twycross is a Londonwide Assembly Member who is leading the investigation into food poverty on the London Assembly. Figures taken from the Trussel Trust visit on 6 February 2013. 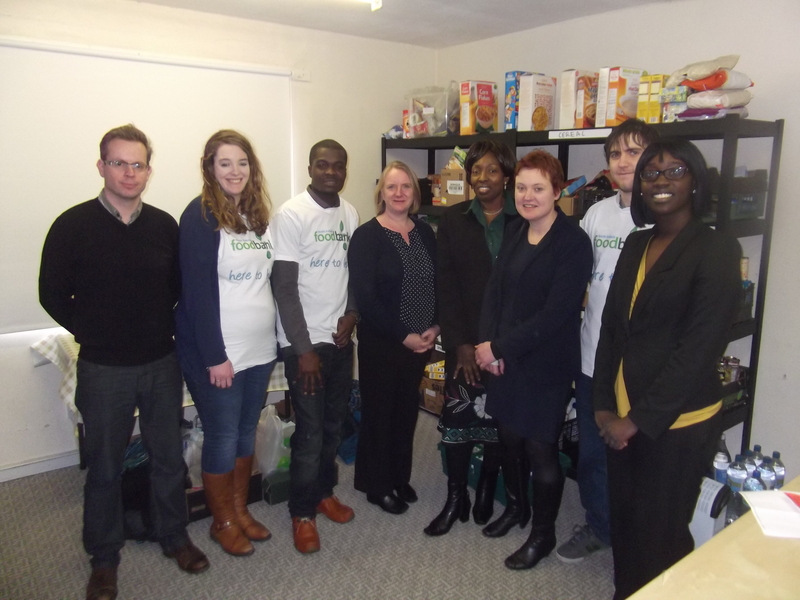 The Enfield North Food Bank is run by the Jubilee Church in partnership with the Trussel Trust and is moving to 196 Great Cambridge Road, Enfield, EN1 1UQ on 9 February 2013. More information is available at: http://northenfield.foodbank.org.uk. The London Assembly has launched an investigation into food poverty in London. More information available at the following link: http://www.london.gov.uk/who-runs-london/the-london-assembly/assembly_investigation/food-poverty. Posted on February 7, 2013 by Joanne McCartneyPosted in EnfieldTagged Benefits, Enfield, Food poverty, low income, Unemployment.